Oh, that Iron Man. Such a tease! Show us more Iron Man! Honestly, this is a pretty great teaser. 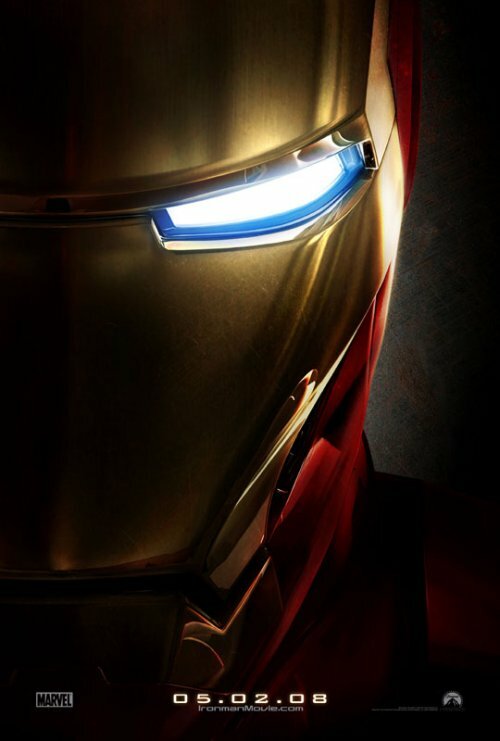 Shows very little, but enough to make Iron Man look really cool. Probably not gonna have that much effect with people who haven’t had much exposure to the image of Iron Man, but you can try to reach those people latter in the campaign. Right now they are just trying to keep interest up, after a well received first trailer. Keep it coming! Sheer genius. They made the character malevolent and mysterious without changing its classic design. The light suggests a human behind it, while the quality of the metal indicates sophisticated technology and alloys used in the manufacture. Which gets over the problem of the name: “iron man” sounds kind of low-tech, at least to the non-fan. This beast is smart, shiny, sleek, and sinister, just as it should be. I never cared much about Iron Man, even back when I used to read a lot of comics. But this poster and the trailer are really making me reconsider him. Mysterious and sinister are right. They have giving him a certain edge that makes the character very interesting. how does the “light suggests a human behind it”?